10 weeks of camp - June 3rd - August 9th....... many choices!! Registration is Open!! 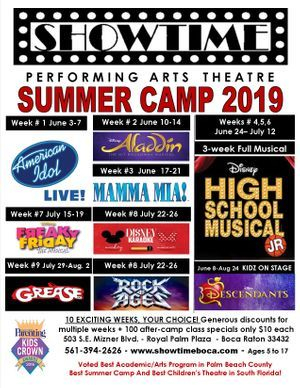 Click above on "Camps"
Want your Child to be a Star on Stage? Try one of our amazing Performance Programs! SHOWTIME Performing Arts Theatre holds ongoing auditions for our Song and Dance Performance Troupe. Unlimited classes for our Triple-Threat Troupe Members! to set up an Audition! Need More info?? Click here! 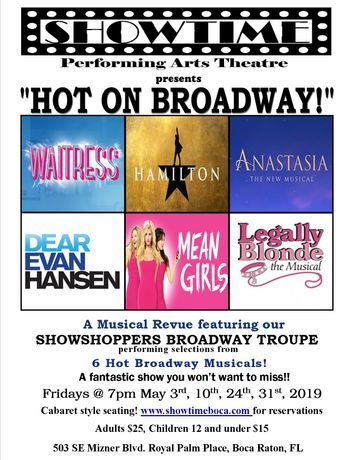 Excited about this season's SHOWSTOPPERS 2018-19 BROADWAY TROUPE lineup! Taught and co-directed by three of South Florida's most talented triple threat teachers,Troupe members gain expertise in song, dance and performance from these 6 favorite Musicals. If you have what it takes to be a triple threat, please call to set up your audition appointment. 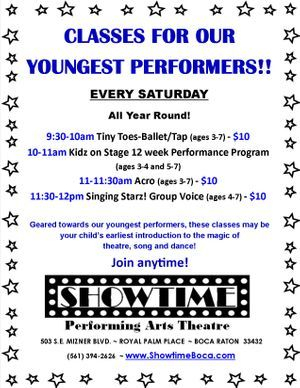 561-394-2626 for your audition appointment. 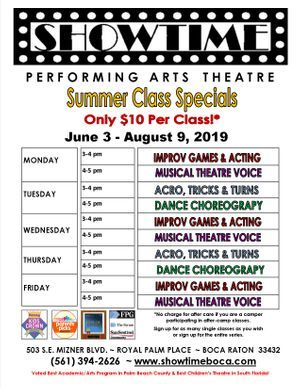 A gift certificate from Showtime Performing Arts Theatre is the gift that's always the right size, always the right color and always appreciated by family, friends and business associates. Performance Programs in South Florida! 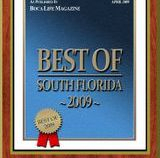 Best Academic Arts Program in Palm Beach County! 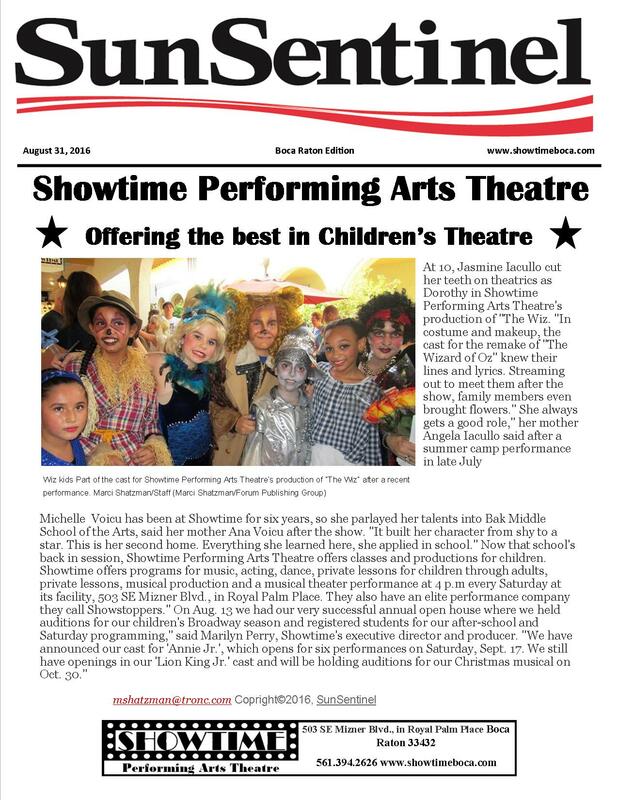 Best Children's Theatre in South Florida! 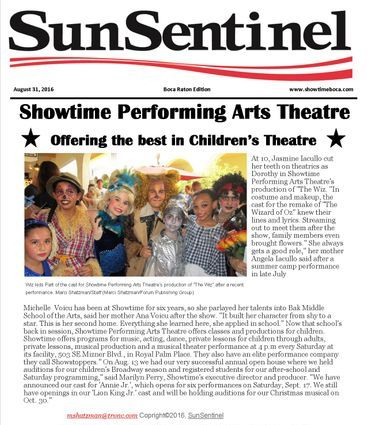 Kids Crown Award "Best Arts/Academic Program"
South Florida Parenting - KIDS CROWN Award "Best Children's Theatre in South Florida"
Sun-Sentinel - Best of Boca "#1 Kids Activity", " #1 Kids Entertainment", "#1 Summer Camp"
Nickelodeon Parents Connect - Parents Pick Award Finalist "Best Theater Group for Kids"
Boca Life's - The Best of South Florida "Children's Acting, Dance, and Music Classes"